A tide in ebb is like a lifting fog. The world revealed remains familiar and yet is always slightly different. This is a time of opportunity – a time for serious rock-pooling. Crabs, anemones and starfish have their place, but nothing excites quite like a fish. The flash of movement that quickens the pulse – its time to get your sleeves wet. Turning stones in the tiniest of pools might reveal one of the most iconic fish of our inshore. 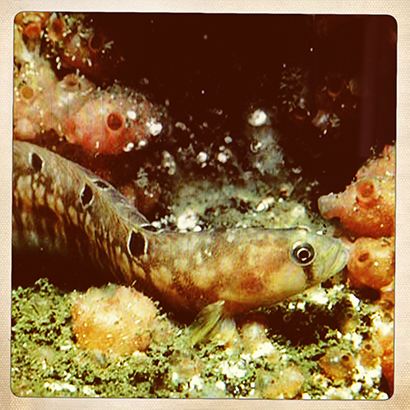 The butterfish, (Pholis gunnellus) is almost eel-like in appearance, with white rimmed black spots along its back and a slippery skin from which it gets its name.